It seems Telecom Minister Ravi Shankar Prasad is in no mood to give up the back and forth with telecom companies. The minister said that the telcos’ argument that their license doesn’t mandate call drop free coverage is unacceptable. 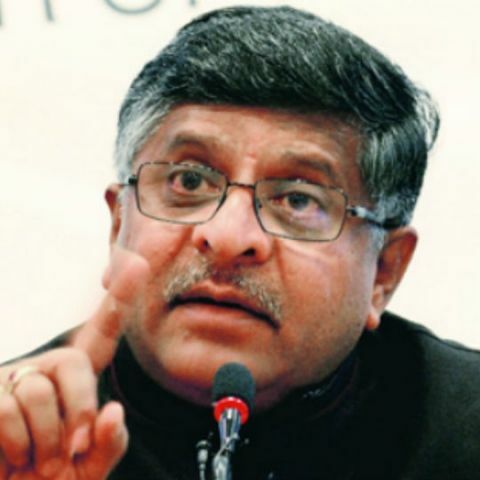 Prasad wants telcos to either improve their networks or face grave consequences from the government. “No one has been talking tough with operators. We will not appreciate their whole conduct of concentrating on data at the cost of voice and on new customers instead of old one,” Prasad told CNBC-TV18’s Shereen Bhan in an interview. Further, Prasad said that telcos have to spend where expenditure is required in order to reinforce their network. He said that he did not appreciate the fact that operators only concentrated on data at the cost of voice. However, he did say that he was happy that towers and base transceiver stations (BTS) were being erected. Prasad stated that telcos had erected 14,000 towers and BTS’ in the past three to four months, with 2,100 being erected just in Delhi.